Perfectly Pamela: Top Two Tuesday and Wedding Photos! 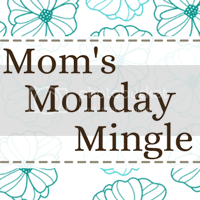 I haven't done a Top Two Tuesday over at the Undomestic Momma in almost a month! Between the wedding and honeymoon and then getting back into the swing of things at work, I've had no time to breathe, much less blog! I've posted a couple blogs with preliminary photos of both the wedding and the honeymoon, but we've gotten a lot back recently so I figured I'd give everyone a peek at some of better ones that others took for us. And if I had a million dollars to blow on a house...I'd have to say this home below is def a dream home for me! If you'd like to see more photos you can check out this site here where this home is listed for sale! And now I leave you with a few wedding photos until next time! What gorgeous photos! I love the green dresses..that is my favorite color!!!! You were a beautiful bride! And I love your taste in dream homes! Would die for a backyard like that!